Quality furniture for your business helps you stand out amongst your competitors and keep your employees happy. High-quality furniture not only looks good but is functional and comfortable for the user. All of these factors are necessary for maintaining a good work ethic and maximising work potential. We have put together some useful information on perfect furniture for your office below. The office is a busy environment with lots going on at the same time. There is usually lots of paperwork, files and stationery lying around which can begin to make the office feel cluttered. It is therefore important to ensure that the office has adequate storage for these items. Employees appreciate good desk space where they have ample room to move around and store their belongings. A good desk should be sturdy, comfortable to sit at and have enough room for the worker. You should provide your employees with a desk that is big enough for them to accommodate all of their papers and carry out their work comfortably. Some good examples of desks can be seen below. Bench desks are fantastic for businesses that need space for lots of people. This type of desk provides space for many workers while ensuring that they have plenty of room to work efficiently. Bench desks eliminate the need for singular desks and are often used in call centres environments. Individual working desks are the most popular type of desk seen in offices. 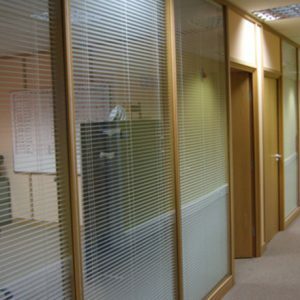 They work well in all office types and in particular small or shared offices. Desks like these give workers their own space avoiding the need to go through turf wars. 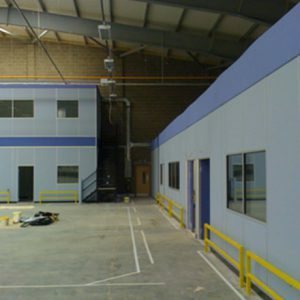 They also provide privacy for the worker allowing them to get on with their work without any distractions. These types of desks can be grouped or clustered together so that employees are still able to communicate freely. 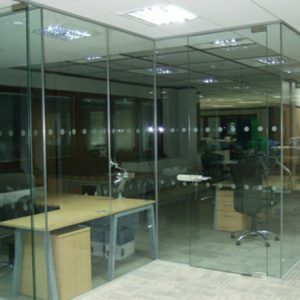 Desk partitions ensure that individual employees still get their own space and their own privacy. Office chairs are one of the most important pieces of furniture needed for the office. It is important to ensure that workers are comfortable and appropriately supported to allow them to get on with their work properly. A chair that is uncomfortable, wobbly or unsupportive can severely hinder the amount of work your employees carry out. This can be down to them having sore backs and legs because they are poorly seated. Having the correct office storage systems can dramatically improve the way you work. Your room will be better organised, tidier and easy to function in. An unorganised and messy office can be unsettling and cause a number of unnecessary stresses. There are many storage units that you can choose from including cupboards, tambours, pedestals, filing units and bookcases. When choosing the right office furniture, you need to consider whether or not it is suitable for your workflow and whether or not it will maximise your space.